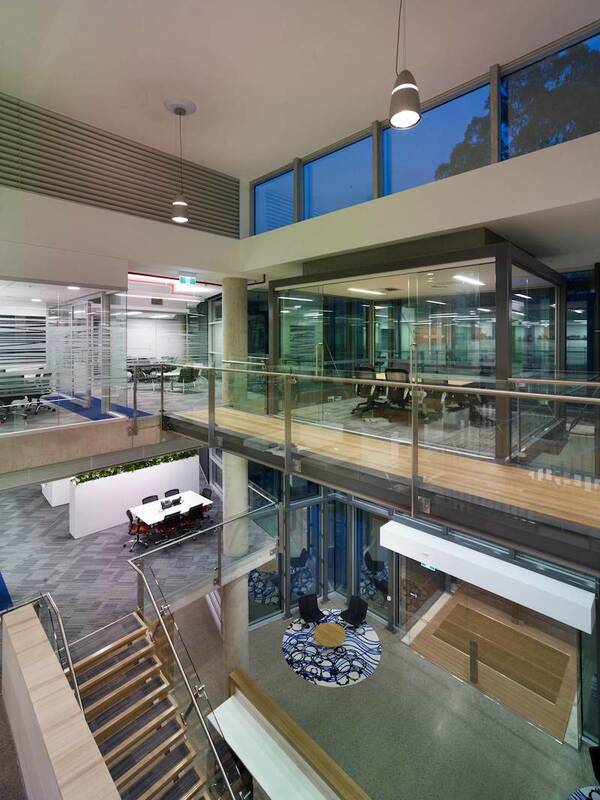 We fabricated and installed a range of complex structures in mixed materials, including glass, timber and stainless steel. 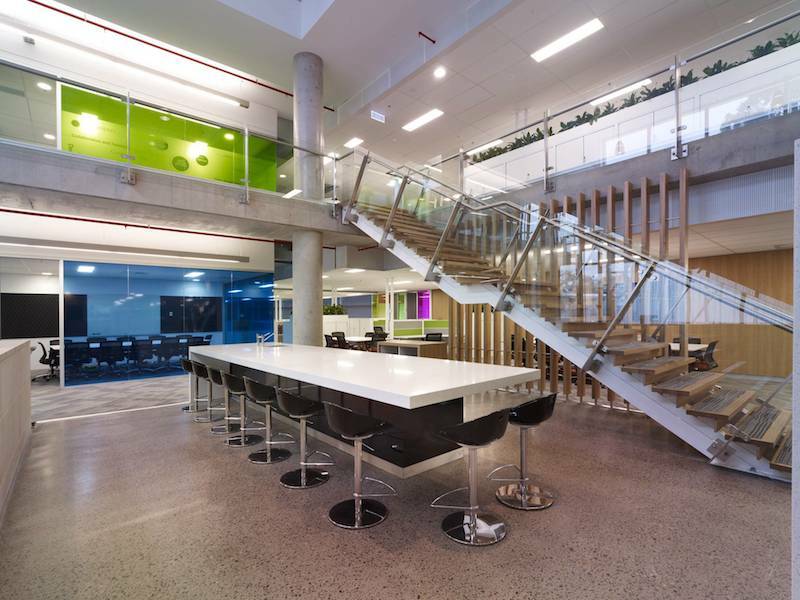 On the first and second floors, glass balustrades and timber stair treads were affixed to staircases, balcony atriums and meeting rooms. A sleek, high-quality finish was essential to the success of this project. 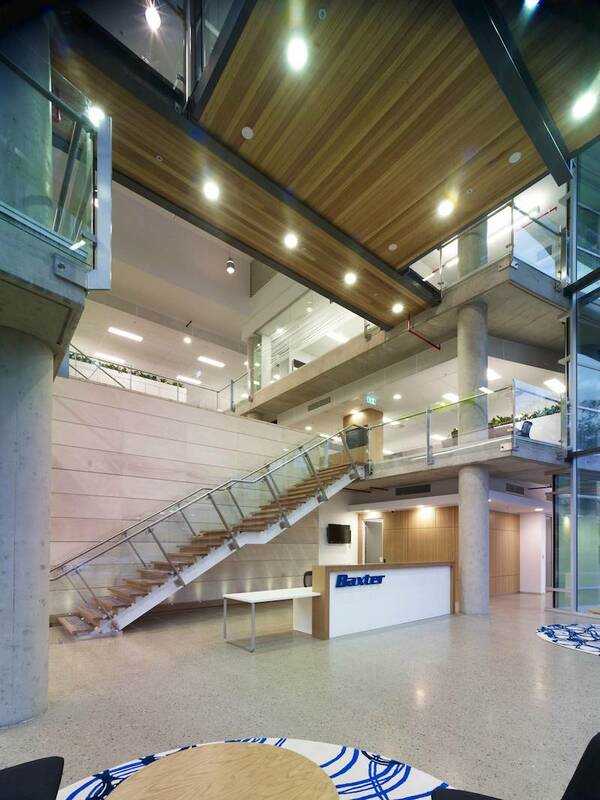 Baxter Healthcare’s new $22m corporate headquarters were completed in December 2011.